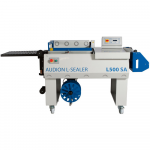 Our useful sealers are the ideal helper when it comes to sealing small to medium runs. Using one of our vacuum packaging sealers makes bag sealing child's play thanks to the integrated timer and cutting device. 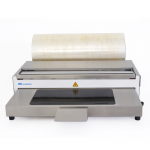 For vacuum sealers (pulse welding)we offer high quality ECO Sealer series models. 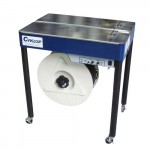 Each sealer allows you to weld plastic polyethylene(PE), polypropylene(PP) and other thin composite bags in merely seconds. 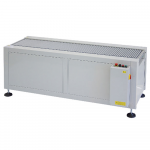 You can use it to produce various weld lengths, thus hermetically closing your packages. 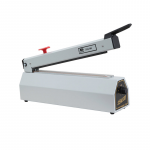 The sealers require no warm up time, simply flip the switch and it's ready for use. Our comfortable Sealboy Magneta model has a magnetic holder on its sealing arm, making your vacuuming all the easier. 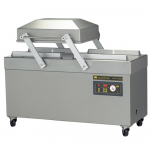 That way you don't have to be manually holding things in place and can instead let the sealing and cooling process run automatically. 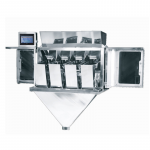 The press arm opens automatically after each vacuum seal. 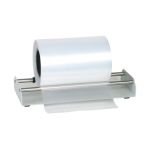 The built-in timer monitors the foil thickness so you can always get the perfect seal. After setting the weld time the cutter ensures a clean cut of the excess residue. That way you get a hygienically packaged product in a very short time. 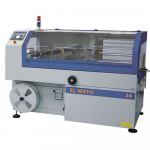 Naturally we also carry spare parts and accessories for all our sealers within our range of products. 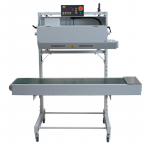 In addition to speedy vacuuming, the manual vacuum machine has the advantage that you are always and at all times able to produce vacuum sealed packages according to your requirements, completely independent of the size and length of the packaging bag. 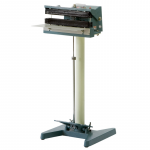 In our online Shop you will find different models of sealers. We are readily available to advise you on any emerging issues. Please contact us with your individual requests!